© Eric Hernandez. All rights reserved. 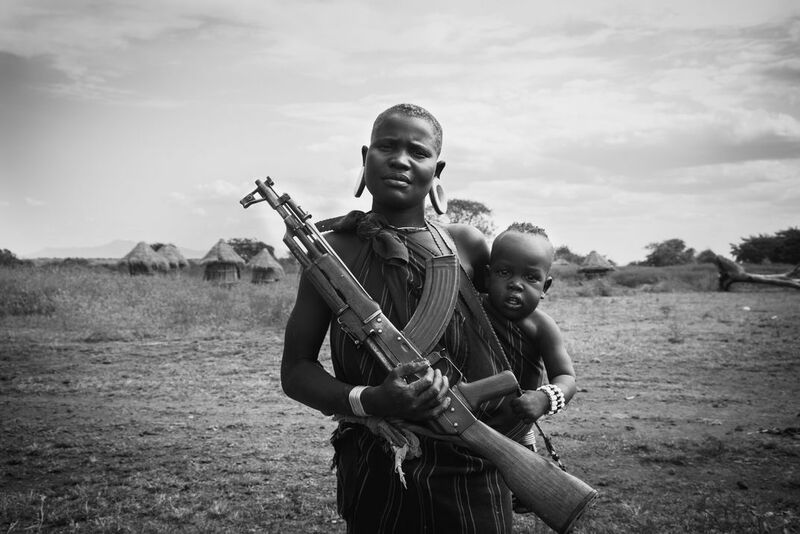 A young mother of the Mursi Tribe proudly bears her child and AK47 as she walks along the outskirts of her village in Mango National Park, Ethiopia.